The Browning Black Label Blind Spot is a manual folding knife for everyday carry purposes. 7Cr stainless steel, drop point blade has a black stonewash finish and thumb stud openers. 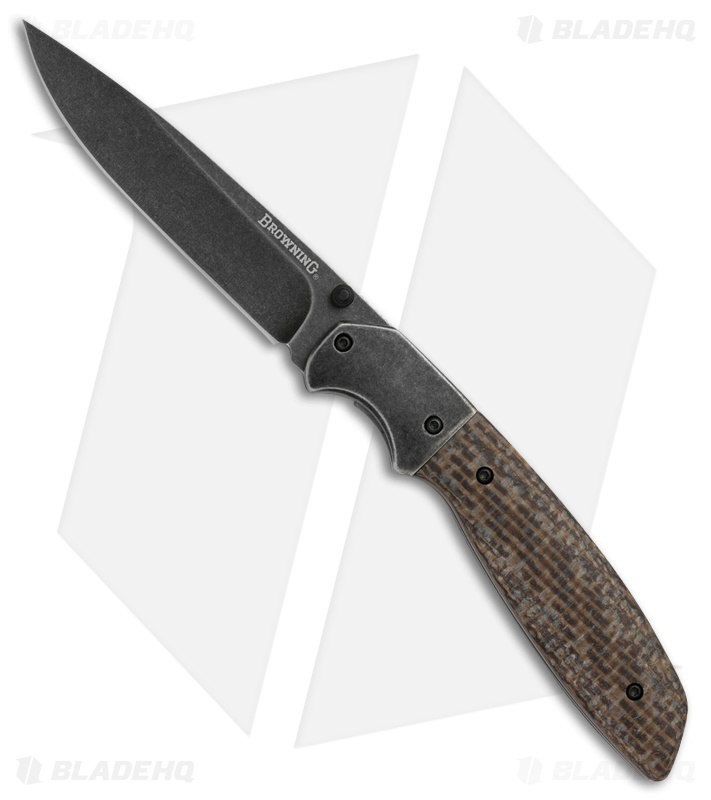 Brown micarta handle features a liner lock structure.